Custom made to your specifications within our shop. 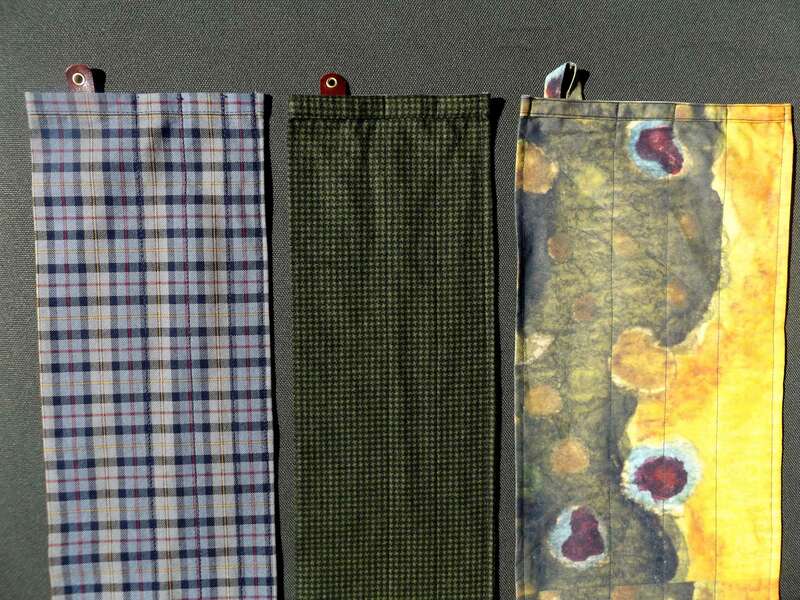 Choices are available for fabric and range from standard khaki cotton, cotton / poly blend, to flannel, ticking, pinwale corduroy, and others. 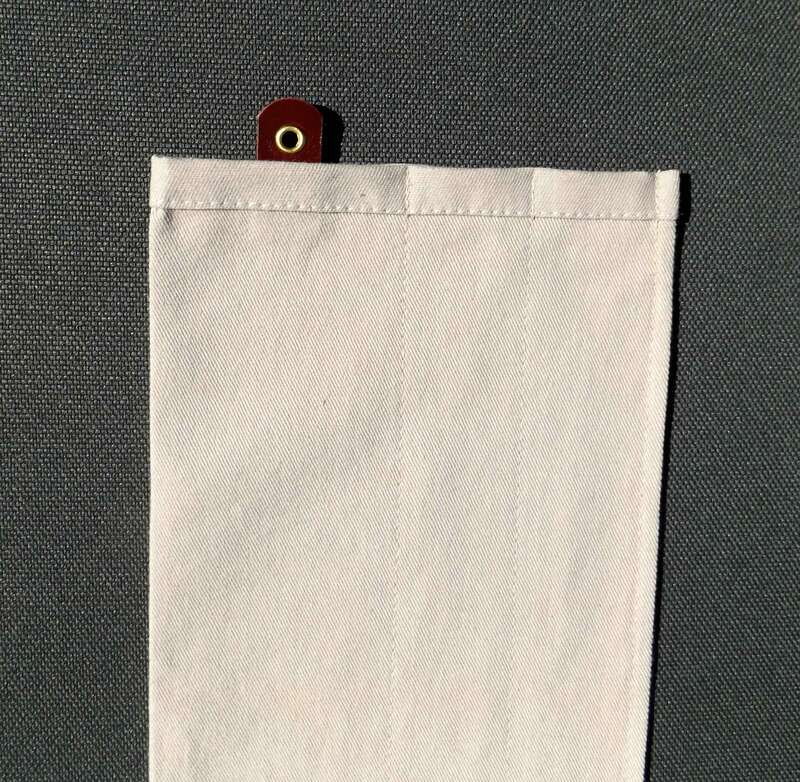 Each bag features a genuine leather hang tag with a brass grommet. 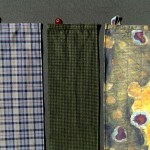 Customers can also supply their own fabric if desired. Custom lengths are our specialty. Contact john@hollifieldbamboo.com to discuss your options and receive a price. Qty discounts are available as are embroidery options.